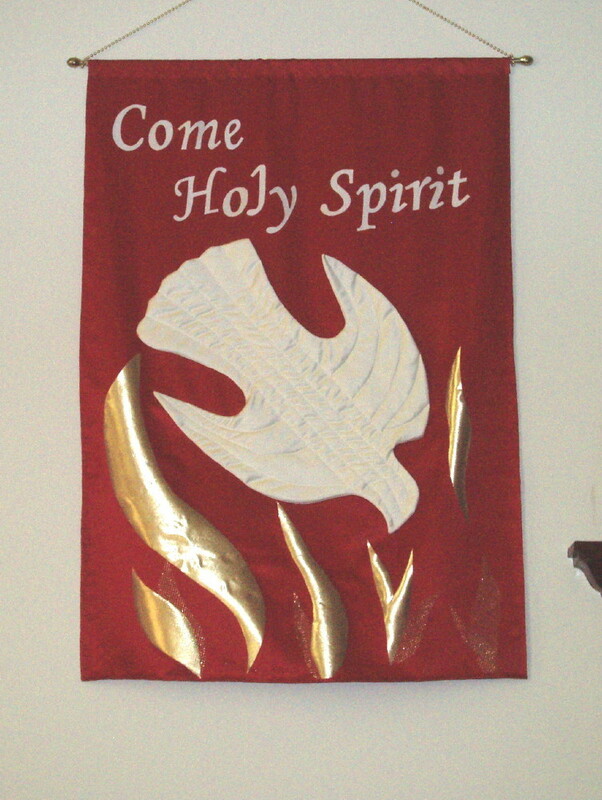 This photo isn't the best quality because I only had my little camera with me at church sewing circle yesterday when we finished our banner for Pentecost, the birthday of the Christian church. This banner was made by committee and turned out better than our expectations. It is one layer of red satin. I made the quilted dove as a free standing addition. We attached the dove with big running stitches from the back about 2" in from the edge. We applied Wonder Under to the back of lame (la-may) and were pleasantly surprised that after it was pressed in place it curled slightly when cool. That probably wouldn't have happened if there had been more than one layer of fabric for the banner. There are some sheer mesh flames on there too that don't show up very well in the photo.We plan on having a small fan blowing near it so it will flutter in the breeze. Lovely banner. You are going to have me humming "Like the murmur of the dove's song" all day long! A beautiful banner! A great team effort! I had to laugh at Suzan's comment. As soon as I read it, the song was stuck in my head. The banner is great. I am impressed that it came out so well after being made by committee. Ha ha. What a great banner... y'all did a wonderful job! Congratulations! Very pretty banner! Love the dove! Love the idea of having a fan to create movement ... the banner is lovely and quite elegant. 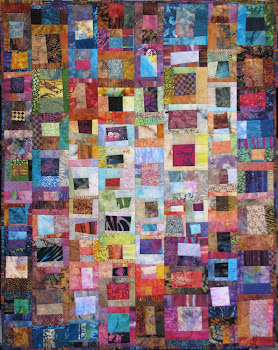 What a great quilt and how well it captures the spirit of what happened at Pentecost. The fan is the perfect touch. It is perfect!!!! Gorgeous and I love the flames. The banner is gorgeous. It may bring a new visit of the Holy Spirit! 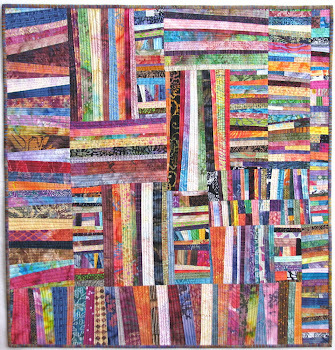 Wise County Quilt Guild was me. Sorry I forgot to sign out of that blog before leaving a comment. Hi Wanda, Thanks for sharing your banner.I think it is lovely!! Know it involved lots of patience and work! What a great looking banner. Sewing with those kinds of fabrics is sometime difficult. You all did a wonderful job. What a beautiful banner and to have created it as a team effort makes it even more beautiful...exactly what Christ expects from us. Thanks for sharing. Beautiful! The fabrics are perfect for this. What a beautiful way to honor the Feast of Pentecost! That is a gorgeous banner and will looks so cool when it flutters in the breeze.